Reflections on flying on SOFIA. I totally got the SOFIA bug. Tonight, Thurs Jun 13th was to be a second opportunity for me to fly and test the FORCAST grism suite on SOFIA. 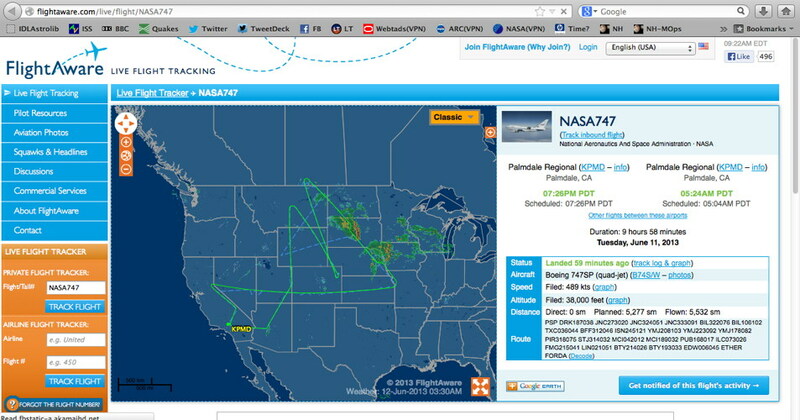 However, that flight had a RTB or return to base, due to an aircraft item that manifest itself inflight. The pilots were awesome and returned us back to Palmdale, CA, safely.They followed their checklists and since most of tonight’s flight was to be thousands of miles over the Pacific, return to base was the right course of action. The flight is now rescheduled for next Tuesday. I am hoping I can remain on the passenger manifest and I can always do remote support. For those who follow the SOFIA story, it has been a longtime coming. But you just have to admit it, SOFIA is just cool. First of all,airplanes are cool. 747s are even cooler. And to have a hole cut into a 747 to outfit it with a telescope that can point, even in turbulence, is just the coolest of coolness. I know I always knew that, but in all honestly, I did not realize it until I experienced it. I hope you have enjoyed my blog updates on this experience. SOFIA is also an amazing piece of engineering. If you think about it, a lot of engineering has gone into the airplane, the modifications to support the telescope, the telescope design and operation, all the different science instruments, and the support infrastructure to make it all happen.Thanks to all the people who made this unique observatory possible, and those that are working hard today getting it operational. For those interested in applying to be SOFIA Airborne Ambassadors, definitely check out that amazing program. The current application period is closed. But check in the future for the next call. SOFIA is a powerful observatory. Its legacy is about to happen. 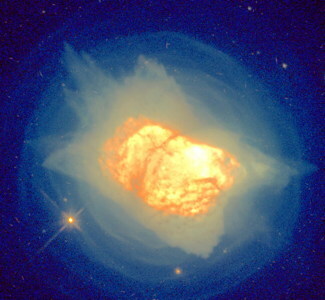 There are not many telescopes out there that can access the infrared skies. By flying above the water vapor in our atmosphere, the infrared sky is revealed to us. Of course, our eyes cannot see such wavelengths, but our infrared detectors can. 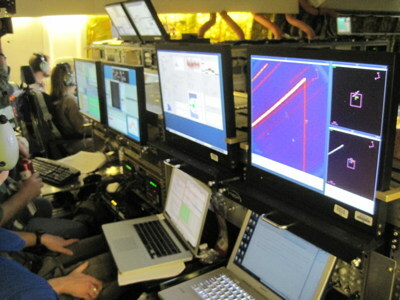 We can use these tools on SOFIA to answer questions about the formation of the stars and galaxies and their evolution. SOFIA with its 20 year lifetime and its mobility to be operated from anywhere on the planet that has a runway, has only yet to contribute to understanding of what’s out there. It’s an excellent training platform for students and teachers. In fact, on the line ops and the flights I was on, teachers and undergraduate and graduate students participated. What a great opportunity for a grad student to have access to this state-of-the-art telescope! 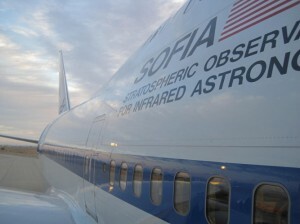 The four I have met these past few weeks are so jazzed about what they are going to observe with SOFIA. 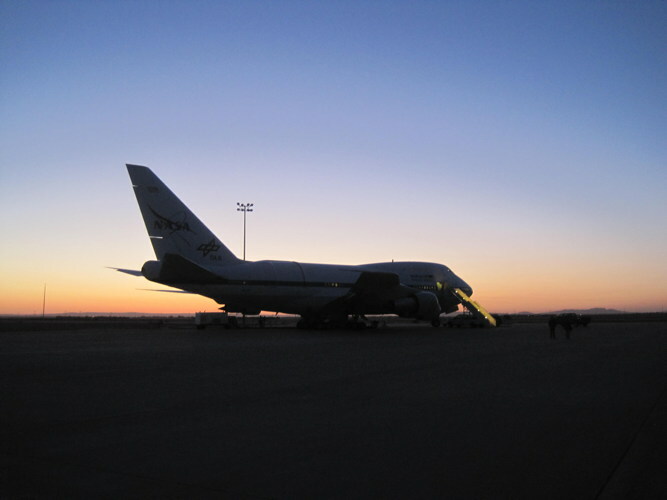 SOFIA after the successful completion of Flight#105, the morning of Jun 12, 2013. We got over 8 hrs of time at >= 40,000ft checking out the modes to commission the FORCAST mid-infrared camera with grism complement. I still have work to do on my small role in the SOFIA story. We collected some (not all) of our grism commissioning data. With next week’s flight, we aim to fill in those gaps. I have data now to reduce and check out our quicklook pipeline that we are tailoring for the observers who request to use of grisms to do their science. And, that long awaited paper on the actual performance of these novel infrared optics I helped develop is now in the works! 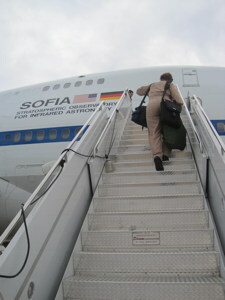 I look forward to flying again on SOFIA, as an observer. I have a few ideas of neat things to observe. I close my blog series with an amusing observation. 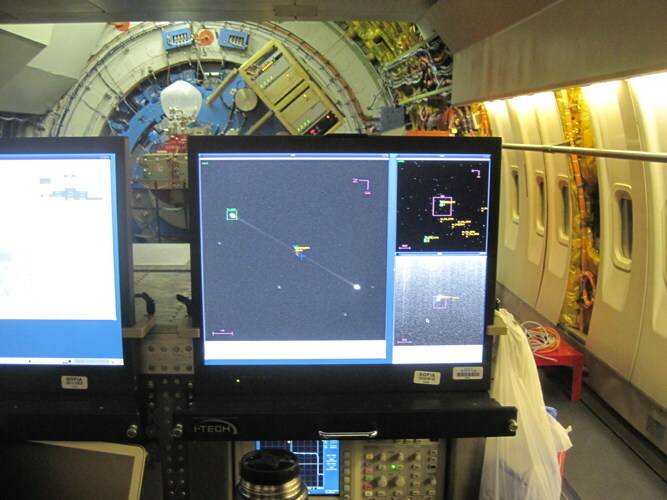 On my Jun11th flight, I spent most of my time facing the science instrument/telescope area, which is, towards the rear of the plane. 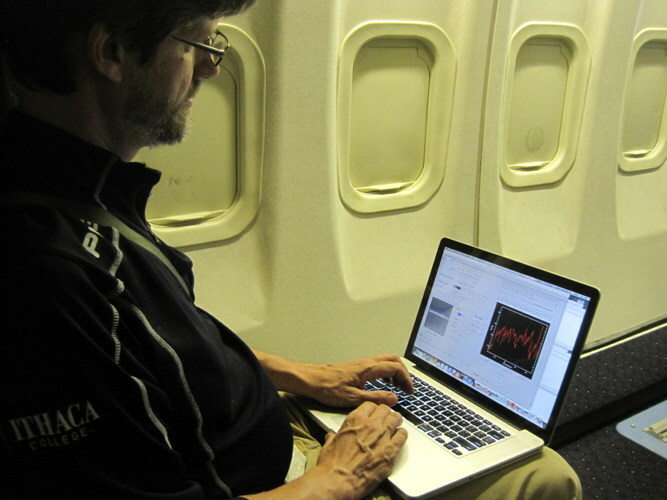 I was standing a lot, and occasionally would sit down at the conference area mid-deck to do some data reduction. All that time I stood watching the telescope, participating in discussions about the data, etc. looking aft, I realized I was journeying on SOFIA, as viewed by someone outside the plane, backwards. Terry Herter (Cornell), FORCAST Principal Investigator & many-time SOFIA flyer, remarked to me, “After a few minutes in the air, you forget you are in an airplane.” And that’s precisely that. I thought I was observing at a telescope observatory. The only drawback: I could not walk outsideto look at the stars, as I just love to do when I am a dark site, like at an observatory. But that’s okay, I was using state-of-the-art instruments to look at the stars with a different set of infrared eyes. I’m not sure how the comments section on these blogs work, but I’d be happy to answer any questions. Just drop me a line. Kimberly.Ennico at nasa dot gov. 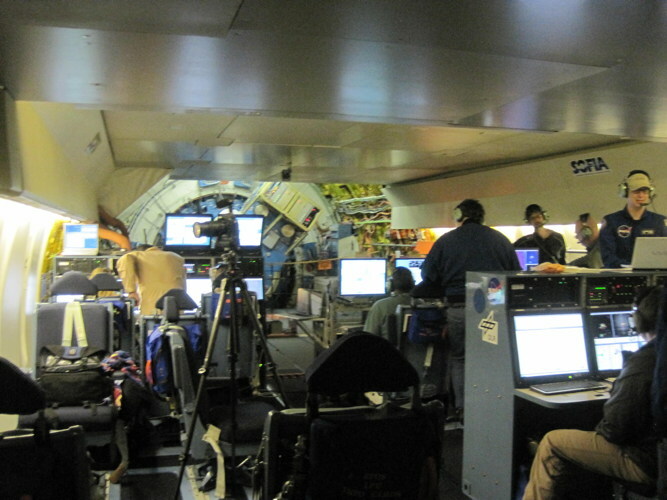 The blog author aboard SOFIA during take off on Jun 13, 2013. Notebook in hand. Mind on the targets we were to observe that flight. Smile for the adventure and learning ahead. My inaugural (and international, it would appear) flight on the Stratospheric Observatory for Infrared Astronomy (SOFIA). Eh? I’ve just completed my first flight on the StratosphericObservatory for Infrared Astronomy, SOFIA. Wow. What an interesting experience.I’ll break down my comments on this first flight into several shorter blogs. When I awoke late morning (as I was trying to get onto anight shift), I obtained the list of targets planned for tonight’s flight. 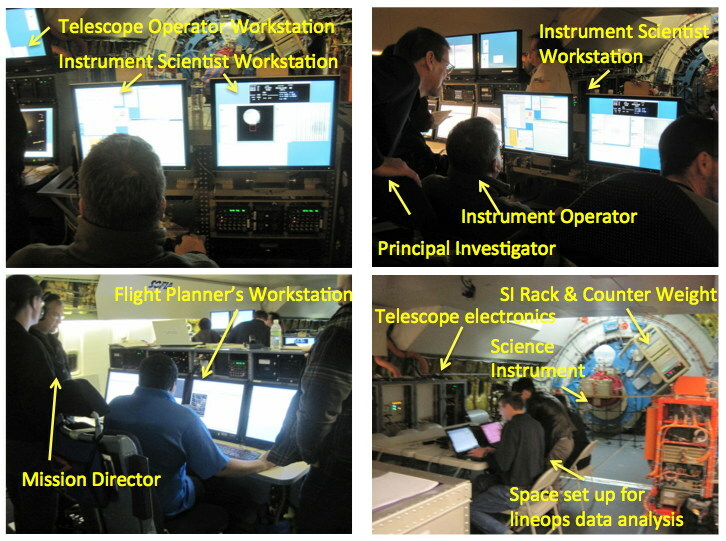 Weare still commissioning these “modes” on SOFIA so we chose bright, standardobjects that have been observed regularly by other instruments over the years. Tonight’s targets were R Leo (a red giant star), NGC7027 (aplanetary nebula), alpha Boo (also known as Arcturus, a K1.5 IIIpe,orange giant star), R Cass (M-type, red giant variable star of MiraCet type) and T Mic (a M7-III giant, semi-regular pulsating star). Thetargets were taken from a list of calibrators we assembled and chosen becausethey were visible to a USA-domestic flight plan for SOFIA for the middle ofJune. If we flew at another time, we would have used other similar typeobjects. But these five objects would be our guides on this flight. With the target list came a list of the specific measurementswe planned to make on each target. We’ve had to deviate from the original planI helped write months ago, only because the two previous flights had been cutshort. So this revised plan tackled the largest holes we needed to address. 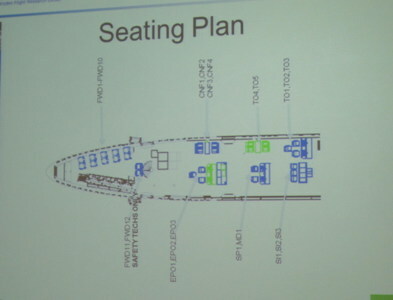 At 5:25pm local time, I attended the Crew Briefing. Here theMission Director Charlie Kaminski did a roll call of all the people to flyaboard SOFIA tonight. 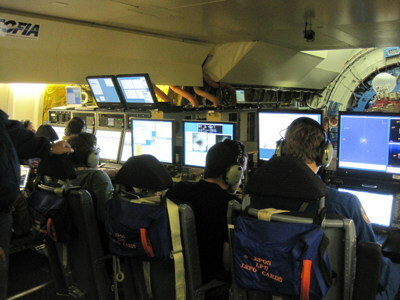 There were 5 staff (pilot, co-pilot, flight engineer andtwo safety techs), three telescope operators (only two are needed, and one wasin training), the FORCAST science instrument support team (for both imaging andgrism modes, about 9 of us), Dana Bachman (SOFIA EPO lead) and 4 SOFIA AirborneAmbassadors, Beth Hagenauer (NASA Dryden PAO) who was shepherding a televisioncrew (about 4-5 people), Tom Rolling (NASA Ames) who ran an EMI test betweenhis water vapor monitor facility and the FORCAST instrument, the support stafffor the on-board MCCS system, and the Mission Director and Flight Planner. Allin all, thee were about 30 folks on this flight, a complement typical for theseearly flights where lots of activities are occurring simultaneously. Next we had a briefing about the weather, with emphasis onexpected areas of turbulence. Granted it’s never clear when you will hit unevenair, but it was a good mental exercise to think through each flight leg to seewhat might get dropped if the turbulence got too rough to control thetelescope. So we were expecting to have “weather” when we flew over northernMontana, Nebraska and Missouri due to the summer thunderstorms. 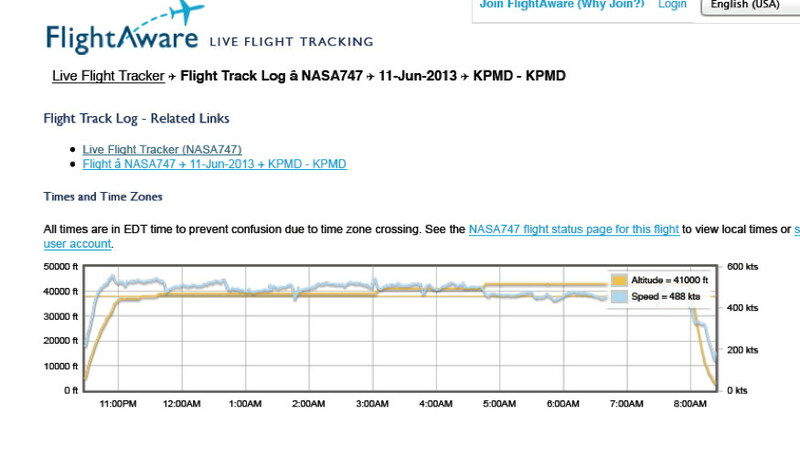 The timelinefrom doors closed to data transfer at end of flight was discussed. 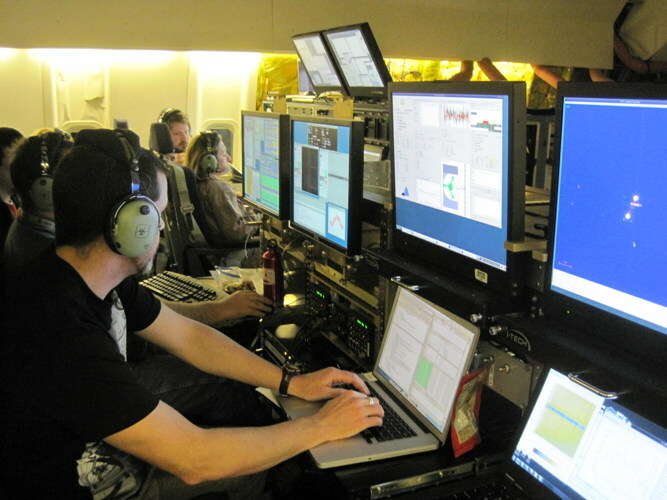 And each keysystem: aircraft, telescope, and science instrument, reported on theirreadiness. Upon inspection of the flight plan, it was remarked “You areall going into Canada” and we all inspected that yes the transition from Leg 8to Leg 9 did cross at the Montana/Canadian boarder. In flight, the Flight Planner actually announcedaround 12am PDT (07:00 UTC) when SOFIA entered into international airspace,even if just for a few minutes. That was very cool, eh? Mapping of observational targets/objectives to each flightleg. A SOFIA flight is highly orchestrated. For this particularflight, as we were using specific targets for calibration, we dedicated singlelegs to one object. Within minutes afterthe crew briefing ended, it was time to walk over to SOFIA, which had beenmoved out onto the tarmac, and climb aboard! We board SOFIA from the taxi-way. The plane had beenrefueled and ready to go hours before our take-off. Oh, a special surprise! A friend from a leadershipdevelopment program we did together about 3 years ago (my, has time flown! 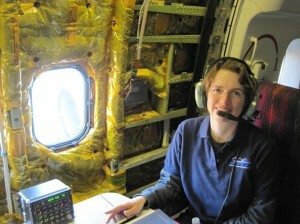 ), EdTeets, a meteorologist & atmospheric physicist from NASA Dryden, came togive the pre-flight weather briefing. That was awesome Ed! 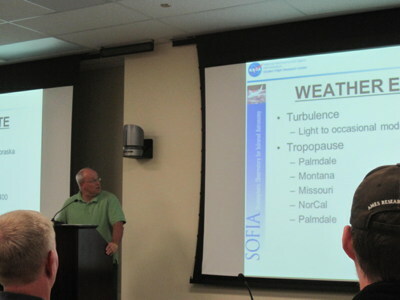 My friend Ed Teets, atmospheric physicist, from NASADryden given the weather briefing for SOFIA Flight #105. We completed night 2 of line ops for the mid-IR cameraFORCAST on SOFIA. 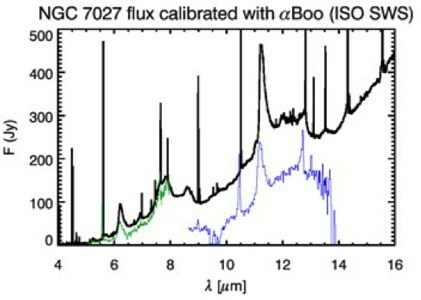 Our tests included script validation of the main observationmodes for the imaging and spectroscopic (grism) channels, optimization ofdetector bias, and exploring a new way to improve the flat fields for theimaging modes. During part of the night, we were slowed down by debugging ofscripts, an activity we were glad we found issues with now, rather than inflight. As a result of the delays, not all the planned tests were completed,but May 28th is the next line ops for this instrument. We did manage to get our first grism spectral tests in, butmore testing remains for May 28th where my colleagues will take over the testing. I will be on call for data analysis. I head back to my home in Boulder, CO, today, after a powernap. I will be returning to experience a flight on SOFIA on Jun 11th.Until then another line ops is scheduled for May 28th, followed bycommissioning flights on May 30, June 4, June 6, and June 11th. I’ll be on call for dataanalysis and wishing my colleagues clear skies, good script runs, and completion of the readiness tests. SOFIA soon enters formal science flights at the end of June, and we want to give the larger community a high performing instrument with an observing strategy to optimize time and signal-to-noise. Who&apos;s Sitting in the Driving Seat when you Fly the Infrared Friendly Skies? 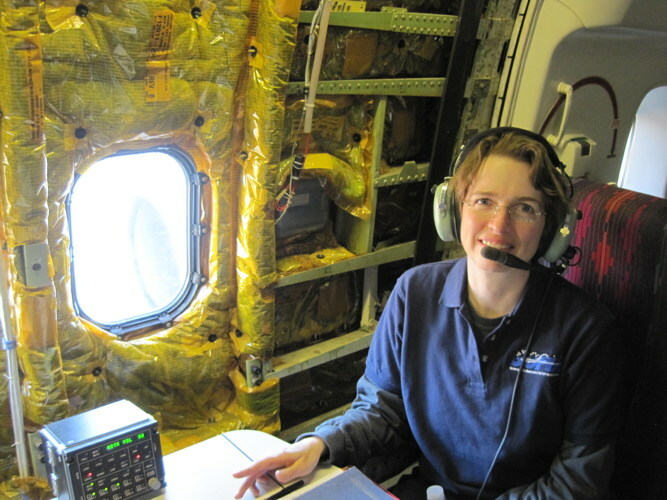 Author Kimberly EnnicoPosted on May 23, 2013 June 19, 2013 Tags Astronomy, FORCAST, NASA, SOFIA2 Comments on Who&apos;s Sitting in the Driving Seat when you Fly the Infrared Friendly Skies? &apos;To Chop, Nod, or not Chop, Nod. That is the question.&apos; SOFIA FORCAST May 23, 2013, line-ops. I am out here in Palmdale, CA, not for a SOFIA flight (yes Iknow that’s where most people’s interest peaks) but for a critical step calledline-ops, or operations on the flight line. 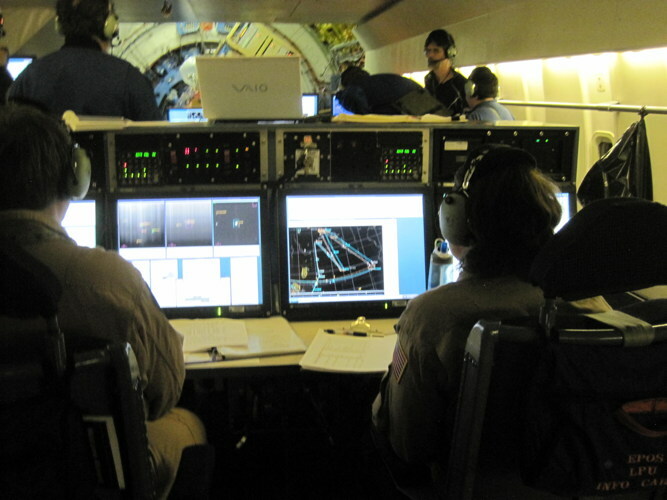 Essentially we are going throughexactly what we plan to while the plane is at altitude and work on end-to-enddata testing, assessing observation timing, and communication, both among thedifferent people needed to complete the observation and also between we humansand the highly complex software subsystems. At 2130h May 22, crew briefing. 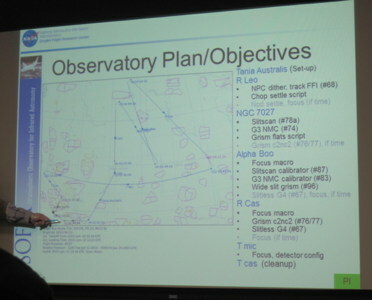 We covered the mainreadiness topics: Weather (winds, humidity), Required Personnel, AircraftStatus and Configuration (System Engineer reported out), Telescope Status,Mission Systems Status (Flight Systems reported out), Operational Timeline(roll out, people on, telescope door open, telescope door closed, people off,roll back to hangar), Mission Rules (don’t connect laptops to the internalsystem and wireless at same time, bring drinks in closed containers, getpermission before entering roped off areas, etc. 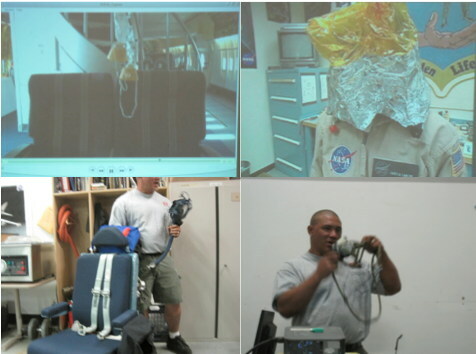 ), Safety & EmergencyProcedures (exit doorway locations, footwear required), and Test Summary. 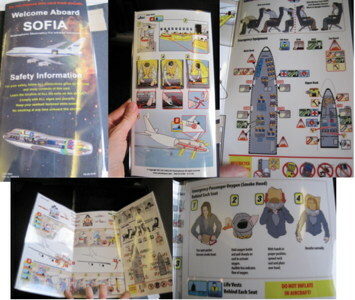 Being on SOFIA is not like flying on a normal 747 jet. Ihope from the various photos in this blog entry and others, you’ll see it’s got“other things” like computer racks, a whole data collection and archivingserver farm on board (the MCCS), conference tables, and various electricalpanels needing access for maintenance or operation. It’s got airline seats(with the normal seatbelts) for takeoff and landing and places to store your laptopbags, but the similarities end there. So last night we got through some key tests. We did a pupilcheck (to optimize alignment of the FORCAST instrument to the telescope). 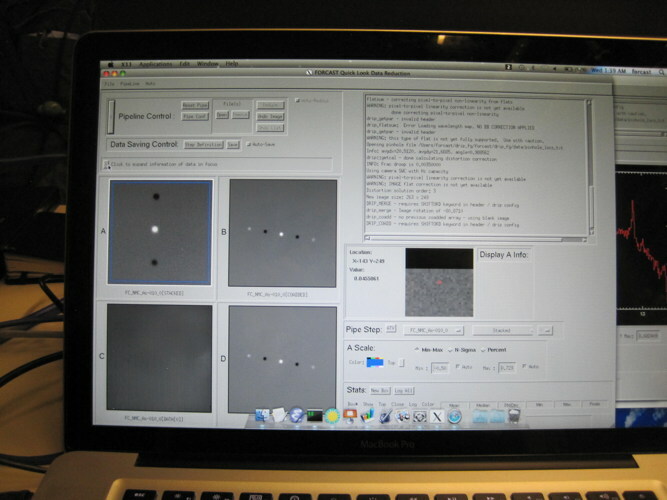 Nextwere a series of inspections of the telescope boresight (telescope centered ona star) and how that appeared on all the imaging (all filters) and spectroscopy(for all grism and slit combinations) modes. We learned we had a systematicoffset in our slits, but we updated the .ini file to address this. Then we didsome testing of the basic modes. We tested chop-nod-dither in the SIRF and ERFcoordinates. SIRF=Science Instrument Reference Frame (rows & columns on thedetector array). ERF=Equatorial Reference Frame (RA/DEC on the sky). There isalso a third coordinate system, the TARF=Telescope Assembly Reference Frame (elevation,x-elevationangles). Yes, astronomers love their coordinate systems. 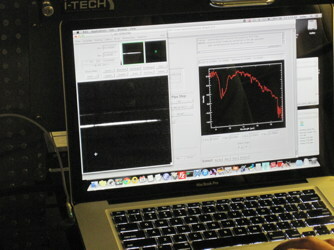 Below is a photo of one of the chop-nod tests, on a bright targetstar. It’s chop-nod-match mode. 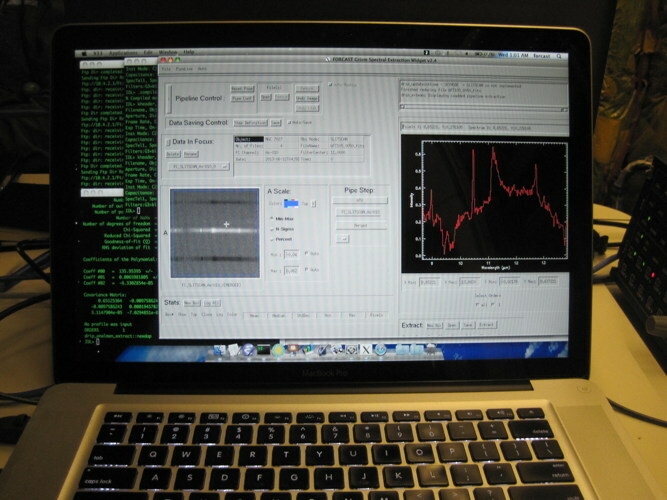 Left is the Science Instrument Console withquick look software showing a reduced subtracted image (you see the positiveand negative star images). 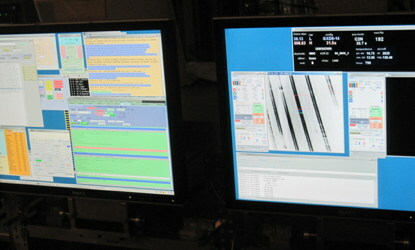 The right image shows a series of display for thetelescope guide camera and telescope display. With the remaining hours for this night, we started probingthe space of the chopping throw vs. angle. Below is an example of a large chopthat was bumping up against a hardstop of the secondary, so we spent the restof the night investigating that issue. 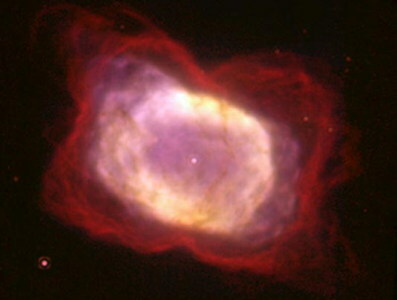 The scale bar on the lower left of thatguide star camera image is 1 arc minute. The telescope door was closed at 0500h. Sunrise was at0545h. We’ll regroup later tonight to address the series of tests for tonight.There will be a crew briefing at 2130h to assess readiness for tonight. Oh, surprise to me, we had internet on lineops, soI was tweeting away in near-real time we did our testing and I also got someIDL coding done for the pipeline end-2-end tests. We got the “go” to proceed with line ops. 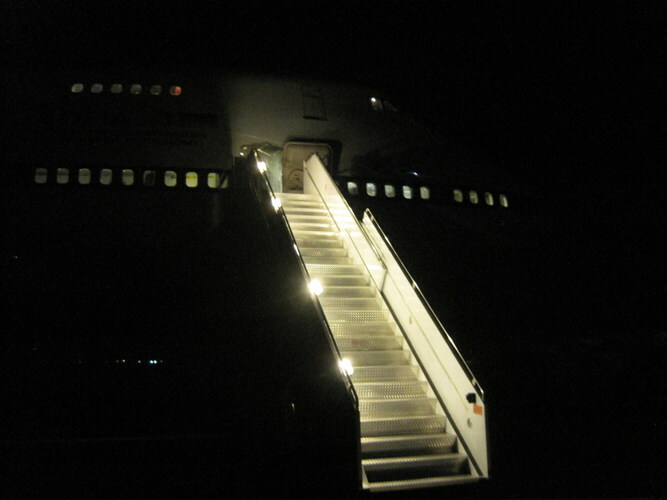 SOFIA, a 747SP,was towed out of its hangar onto a side-runway, and away from any air traffic. Theheading is 130.5. This is important as it tells us what view angles areavailable from the telescope. The telescope looks out the aft-port side of theaircraft. (Aft=back of wing, Port=left side, when viewed from the back, facingthe front). So at this heading, we are looking at the N-E portion of the sky.Our calibration targets include TDra, NSV25184, RUCyg, muCep, and TCass, allpretty bright stars. a “true stairway to the stars.” I learned that for the flights, we would do a similar activity, meaning we donot board within the hangar, but board after the craft has been towed out tothe runway.